"We not only welcome students with a range of backgrounds and experiences but also recognise the huge benefits to having a rich and diverse cohort. Whatever path you’ve followed in life so far, we’re here to help you to take a new path to further your career, study your passion or try something new." If you're applying for an undergraduate honours degree, you'll need a GCSE or 'O level' profile which includes mathematics and English at grade C/4 or above. You should also have (or be about to achieve) an advanced-level academic qualification and, ideally, have successfully undertaken academic study within the last five years. If you’ve been out of education for longer than five years then please get in touch so that we can discuss your options. Some courses have subject-specific entry requirements at A level or equivalent, such as physical sciences and health professions. If you're interested in professional qualifications in social work, healthcare professions or teaching, we strongly recommend that you explore gaining relevant experience. In fact, it's essential for all our Initial Teacher Training courses. The experience will give you a useful insight into your chosen profession and will help you to demonstrate your commitment, enthusiasm and knowledge, when you complete your application. Just take a look at the entry requirements on the individual course pages or contact our admissions team for additional advice. If you don’t yet have advanced academic qualifications, or if it's been a while since you were last in formal education, don’t worry – you're not alone! 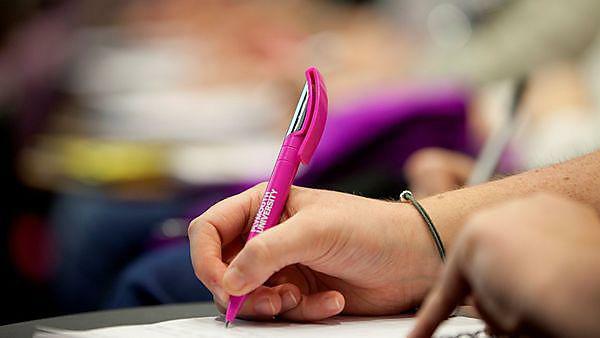 There are plenty of ways to develop or update your academic skills and knowledge in preparation for your higher education experience and we've outlined some of these below. Alternatively if you're based in the South West, take a look at the LifePilot website which contains useful information, links, case studies and tools to help you get started on your higher education journey. Once you are happy that you have all the correct information then it’s time to submit your application which you need to do via UCAS. Even though you might not be studying, you still need to provide a reference along with your personal statement but this can be from your employer or someone else that has trained or worked with you recently. The Access to Higher Education diploma is an established qualification that's been developed for adults who want to return to study and attend university. If you lack the qualifications or subject knowledge for immediate entry into higher education, or if you need to update your existing qualifications, this diploma offers an excellent fast-track approach for doing just that. You can study this diploma at some local further education colleges, community colleges and adult education centres over one or two years, or via distance learning for even greater flexibility. Exact content can vary but there's an emphasis on study skills, English, mathematics and building your confidence. This is paired with a rigorous pathway of subject specific units which you study to level three, which is equivalent to A level qualifications. You can find a fully searchable list of Access to Higher Education providers on the national Access to Higher Education website. If you live in the South West then take a look at the AptEd website where you'll find a complete guide to Access to Higher Education courses and a listing of regional providers. These vocational higher education qualifications have been designed closely with employers, to help students develop necessary work related skills. They take two years to complete full time (part-time routes are often available) after which you can progress on to the final year of a relevant honours degree at university, which will normally consist of a further 12–15 months’ full-time study. Although standard entry requirements ask applicants to have A levels, if you can offer a NVQ Level 3 or significant professional experience you may be able to progress directly on to a foundation degree, before topping up to your honours degree later on. These vocational qualifications usually take two years to complete at further and higher education colleges. The HND is usually studied full time, the HNC part time, and students who successfully complete these qualifications may be considered for entry on to the second or final year of a relevant honours degree. The Open University (OU) offers a range of study opportunities through distance learning and OU credits are welcomed by the university for many of our courses. As with all qualifications, you'll need to have completed your OU course and be able to confirm your results with us before you start a course. For many years A levels have been the traditional way for students to demonstrate their academic ability in England and Wales. They can offer a useful approach to evidencing or updating your study skills however unlike Access to Higher Education courses, they're not specifically designed for adults. We welcome students with a range of backgrounds and qualifications and every year, men and women successfully settle into their chosen course. However certain courses can be over subscribed and this can result in competition for a limited number of places. Please check the individual course pages for their specific entry requirements and contact our admissions team for further advice.